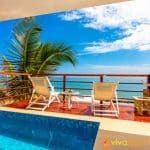 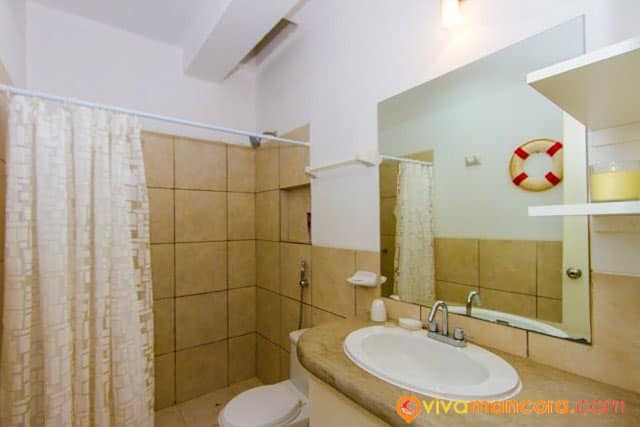 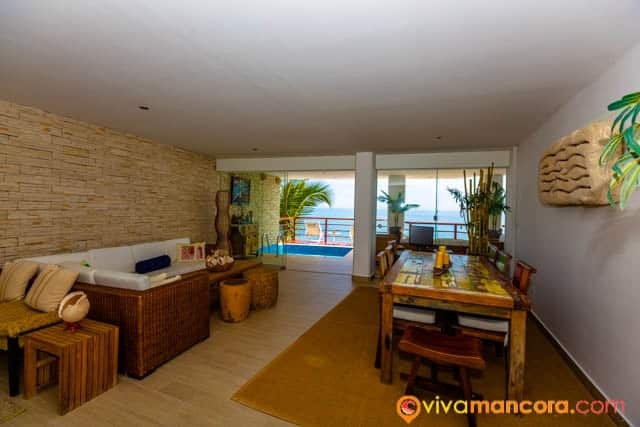 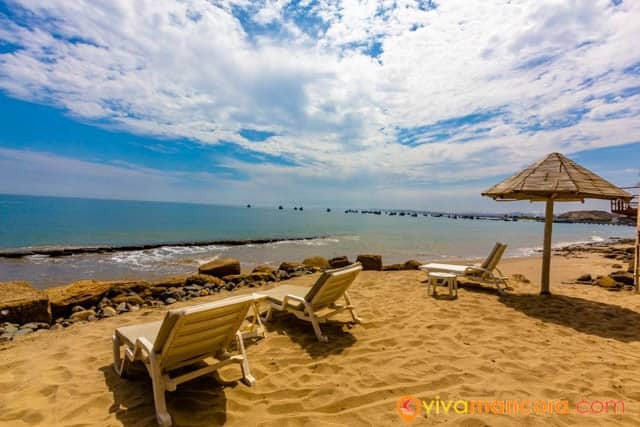 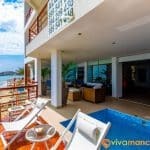 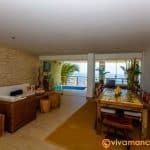 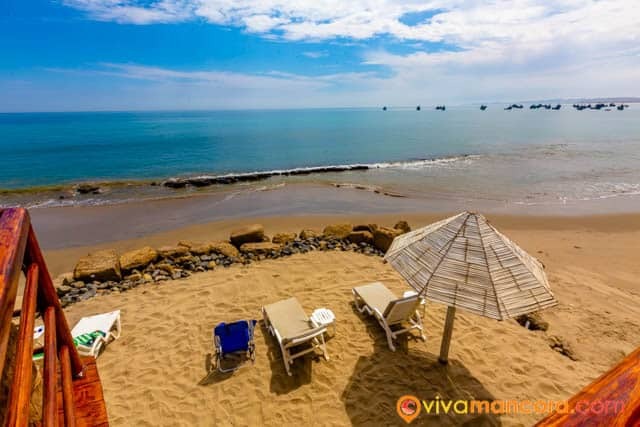 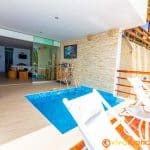 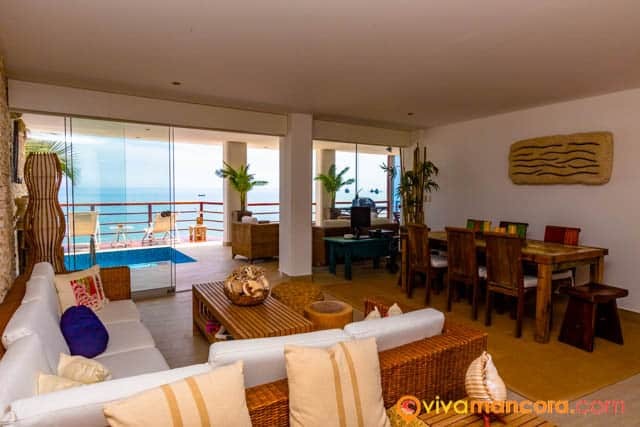 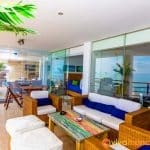 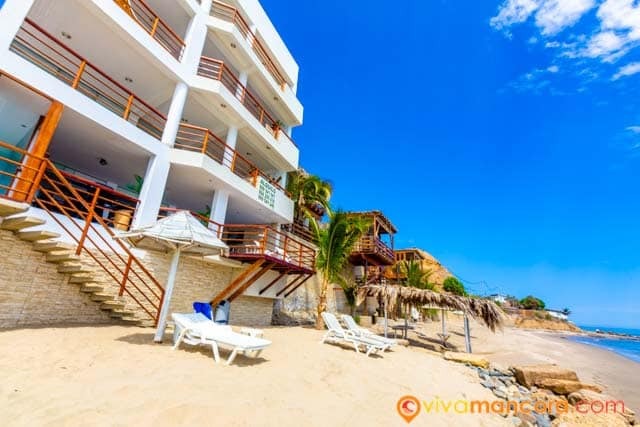 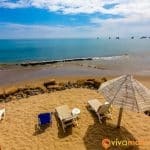 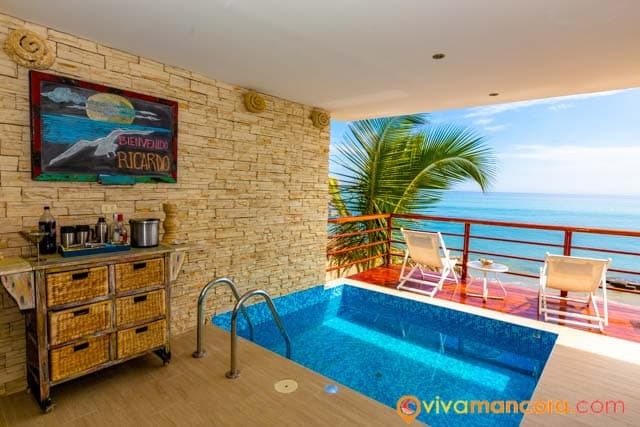 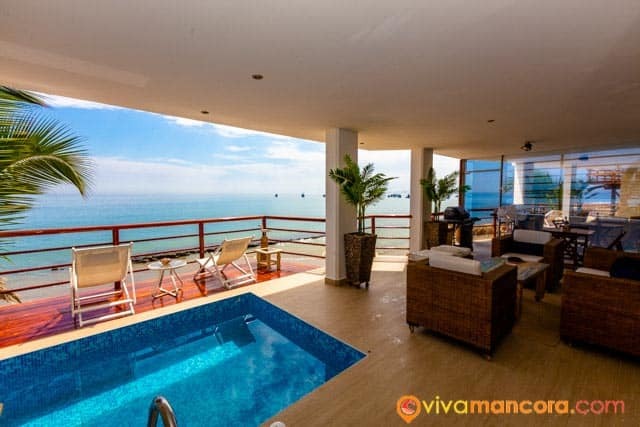 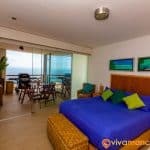 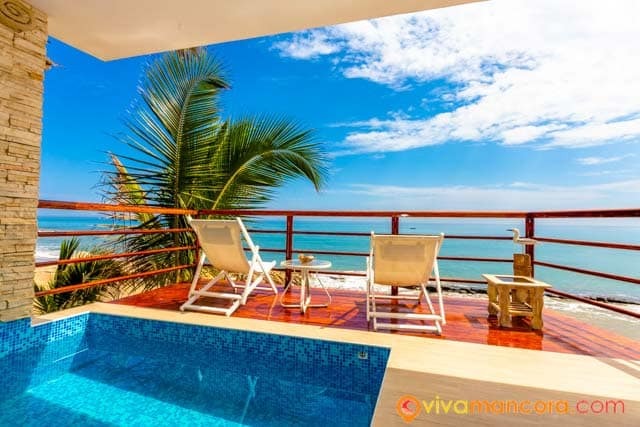 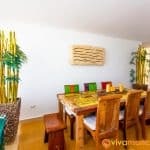 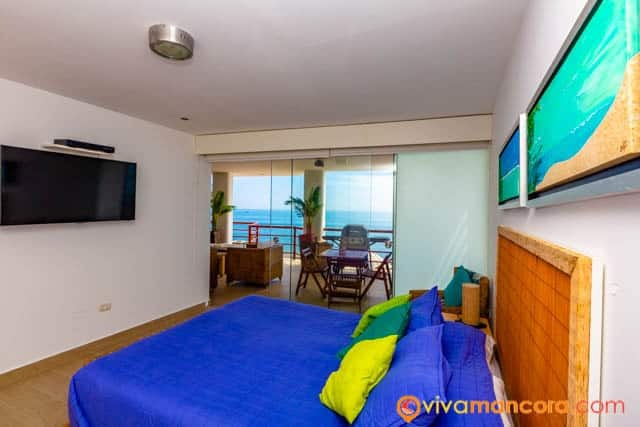 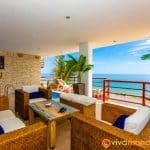 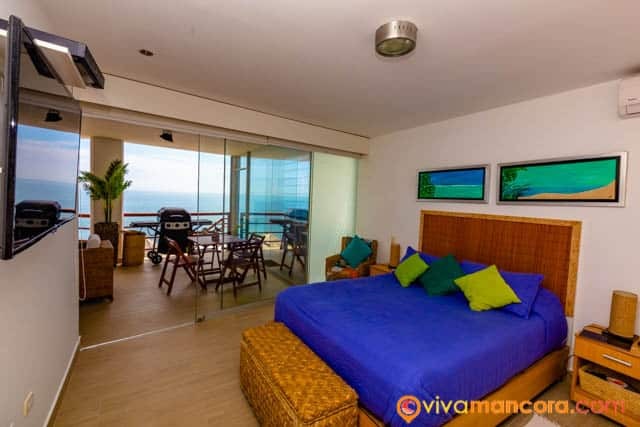 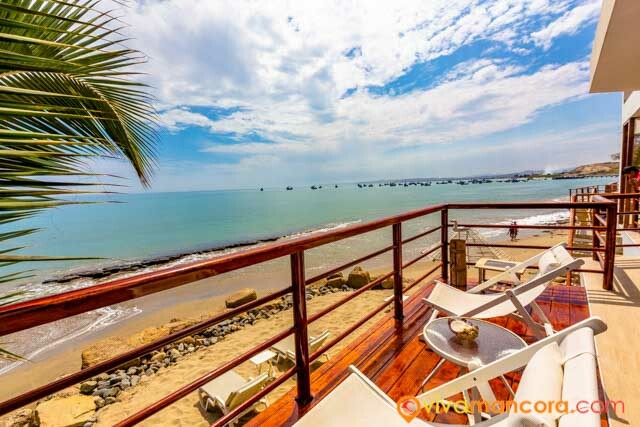 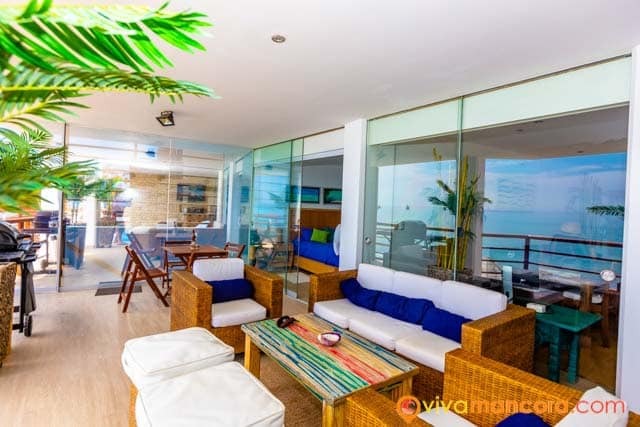 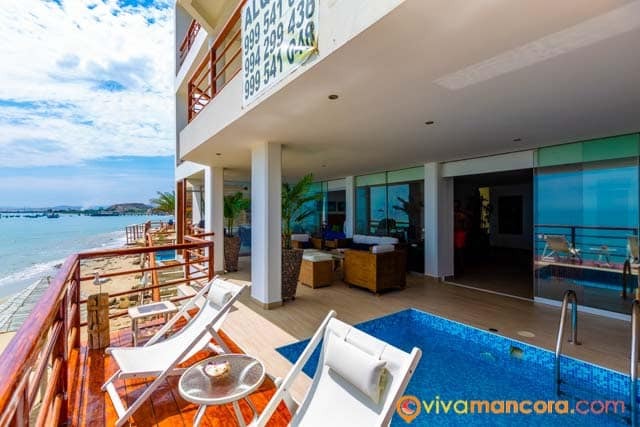 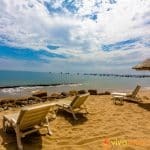 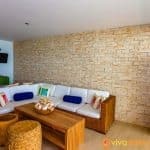 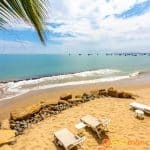 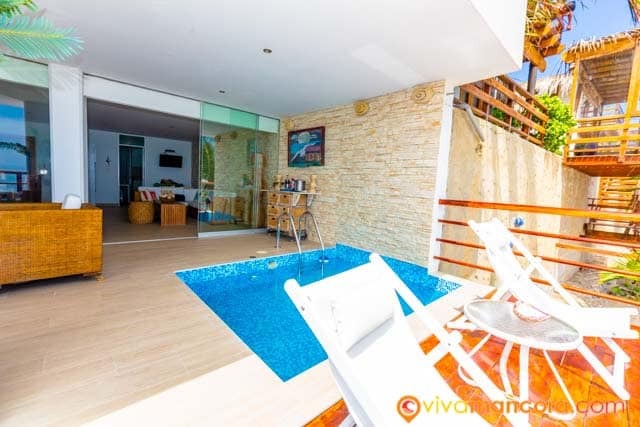 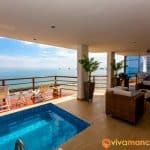 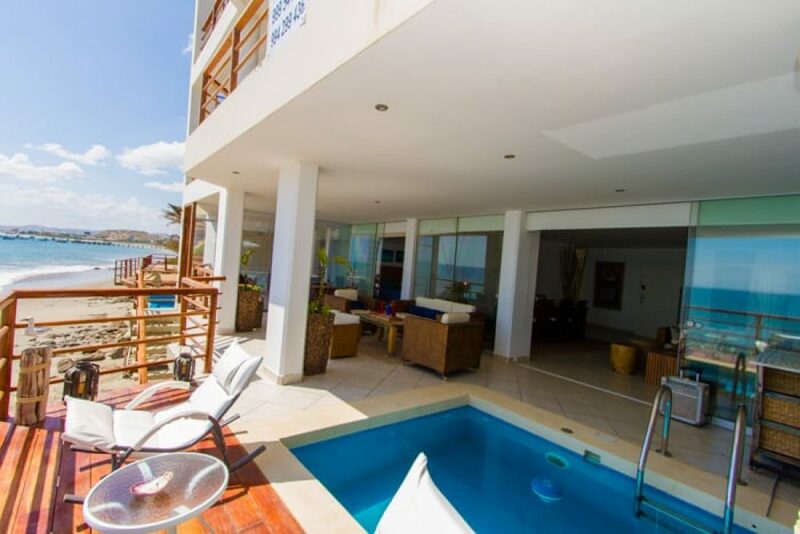 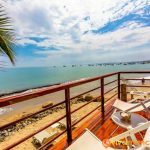 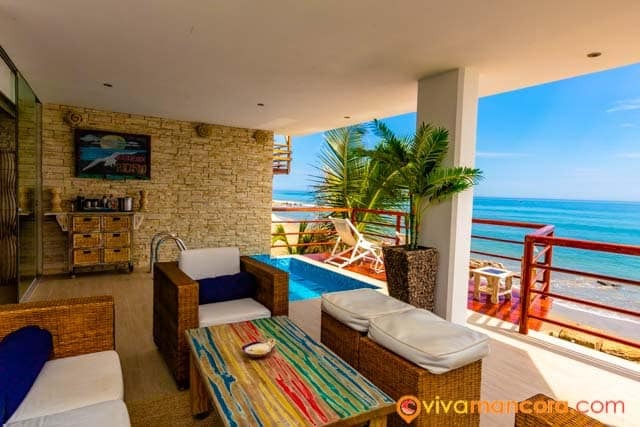 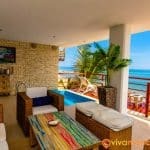 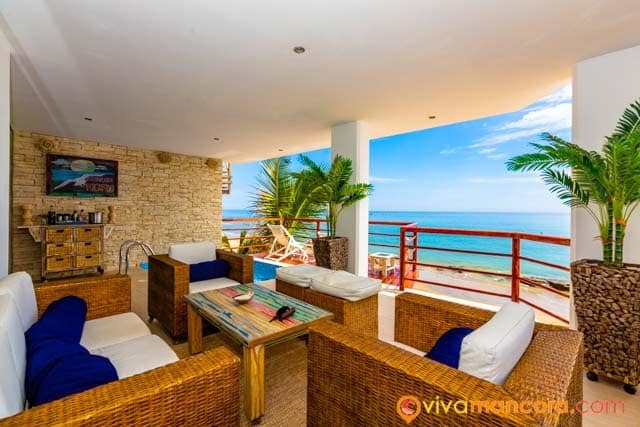 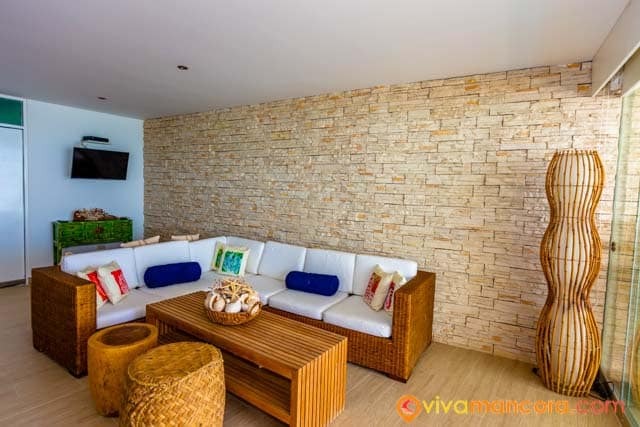 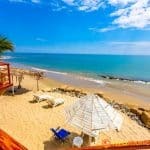 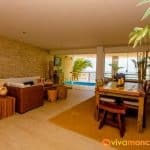 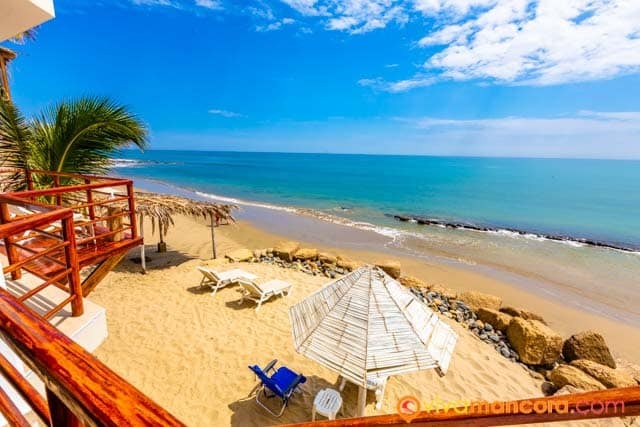 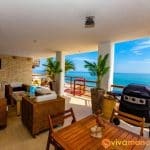 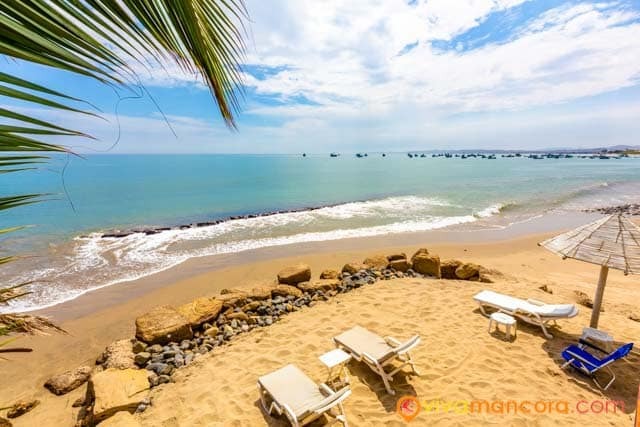 Departamento Maui 1er Piso (1st floor) is located in the “Maui” Building, located on the seafront at the beginning of Las Pocitas beach, about 800 meters from the Mancora’s pier and only a couple of kilometers from of Mancora’s main avenue. 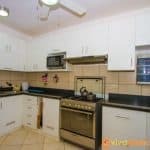 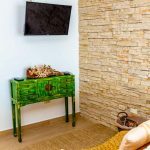 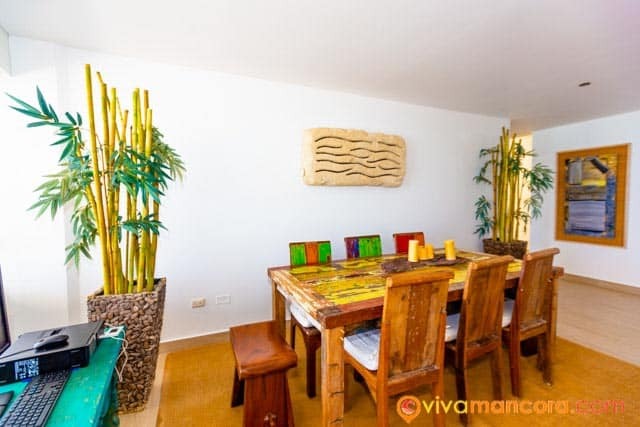 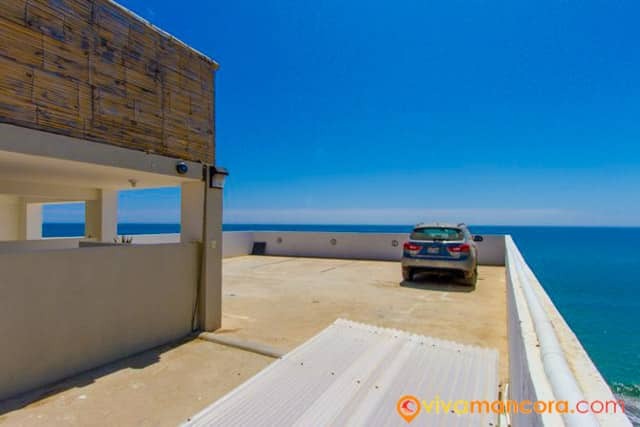 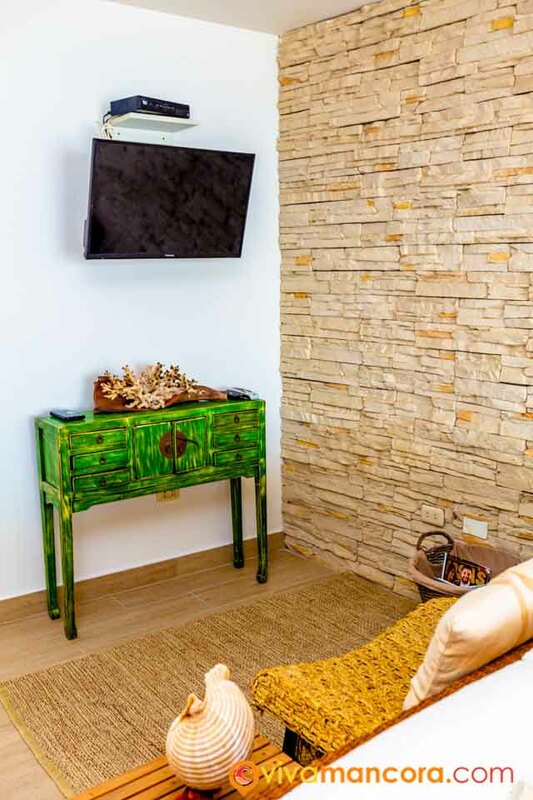 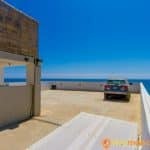 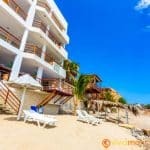 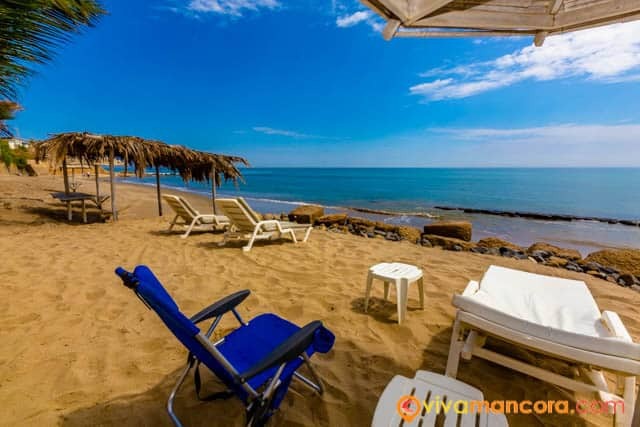 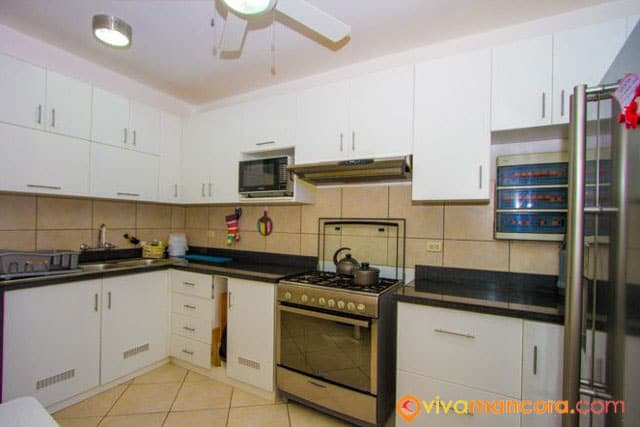 Departamento Maui 1er piso is differentiated from other beach apartments by having quality finishes and finishes and by being on the 1st floor, by the ocean. 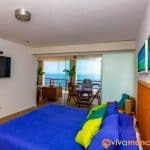 Master bedroom with queen size bed, air conditioning, cable TV and bathroom. 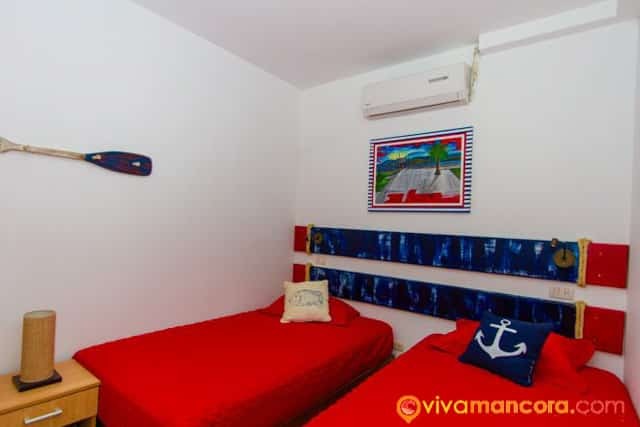 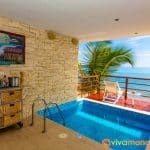 3 double or matrimonial rooms each with air conditioning and cable TV, share 2 full bathrooms. 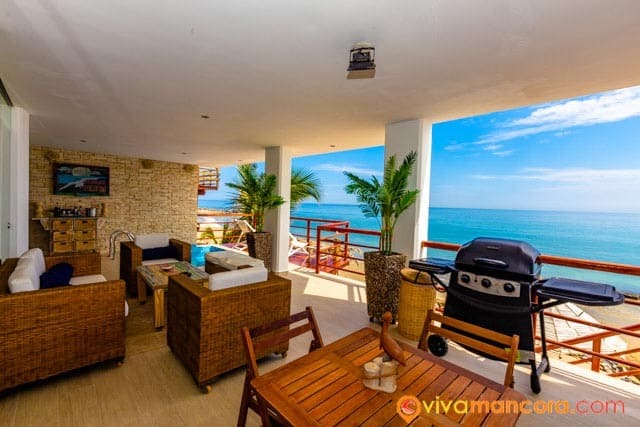 Terrace with bar and grill. 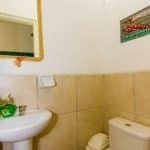 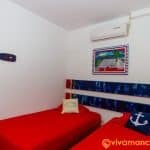 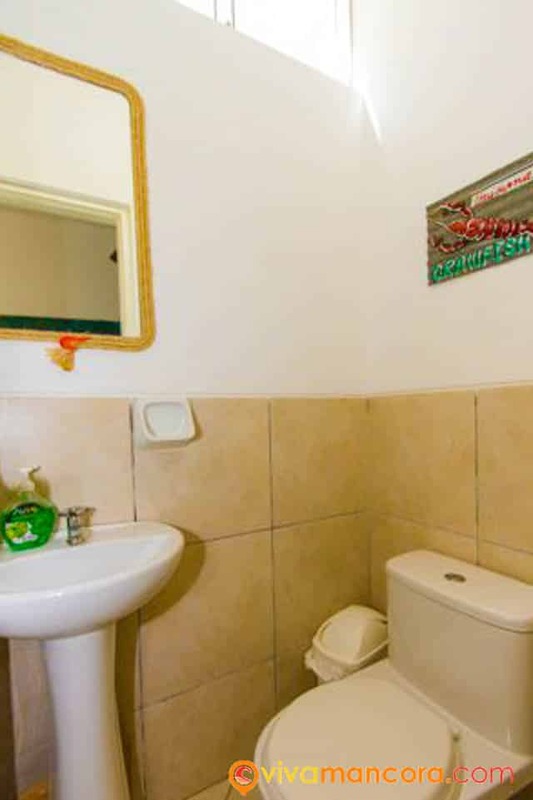 Service room with cabin (for two guest maximum) with full bathroom. 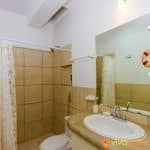 Includes household, cleaning service, DirecTV, bedding and parking.